NACAC National College Fair Atlanta Sunday, March 3rd 12:30-4:00 p.m.
Come out and learn about what SHS has to offer - class offerings, AP, Honors, Career Pathways, extracurricular activities and much more. Meet in LGI - small auditorium inside the school. School dismissed at 11:30 a.m.
12th-grade seniors who have had three years of a World Language or ESOL, please attend Thursday afternoon's informational meeting at 3:30 in Ms. Santini's room (#103) or Friday morning at 8 am in Mr. Barrera's room (#203) to learn about the International Skills Diploma and Bi-literate Seals. 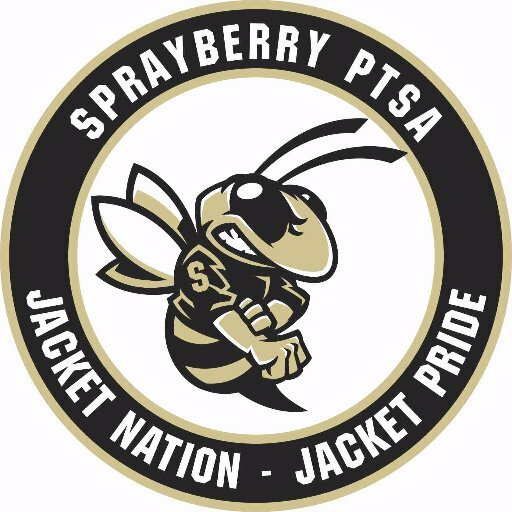 Several students from Sprayberry were able to earn the same scholarship in the past couple of years. Please tell the students to show up to the informational meetings. Come out to Sprayberry's 2nd Annual International Night. It will be held in locations throughout the school including the Theater & Gym. over 12. for those under 12. 6-9pm. Food, fashion, talent from countries all over the world! * Senior Scholarship Apps DUE!Senior Scholarship Apps DUE! Due to the front office by end of school. Come out and support SHS Drama! Come see the master of mystery, Agatha Christie’s famous story, And Then There Were None. When: Saturday, March 30, 2019, 10:30 am - 4:15 PM Where: Switzer Library (266 Roswell St NE, Marietta GA 30060) Format: Non-rated, 5 rounds with time increment of 20 minutes + 0 second increment Prize: Trophies for top 3 players in K-3, K-8 and K-12 sections Fee: with pizza lunch included RSVP Required: https://www.scholarlychess.org/ Info at GA Chess Association: http://www.georgiachess.org/event-3313664 All proceeds go to charity.